Aseem Chhabra cooks some desi filmi flavours from his travels abroad. Last week, on my second day in Hong Kong, I suddenly got a sense of what it must mean to be a Bollywood star. I was in the city for a film-financing forum with two friends from the Indian film industry -- filmmaker Dev Benegal and character actor Satish Kaushik. We had been brought to Hong Kong to pitch a script that Benegal had written. It is near impossible to get taxis in Hong Kong during rush hour. And we had been standing for almost half an hour outside the Hyatt Hotel. Suddenly a hotel employee, a Sikh gentleman, walked up to Kaushik. He had recognised the actor and, speaking in Punjabi, he offered to get us a taxi. We stepped aside from the long taxi line. Within minutes the Sardar had hailed a taxi and then, in what was the biggest surprise for me, he gave directions to the driver in Chinese. In the years I have lived outside India and have traveled to many places, I like to think that I have seen it all. But this was something really special -- a Sikh man speaking fluent Chinese! On the last day of my stay in Hong Kong, after the financing forum was over, I decided to be a tourist and took a short boat trip to Kowloon island. Kowloon, like Hong Kong, is packed with tall buildings and high-end department stores. At times it feels even more congested than Hong Kong. The first thing I noticed in Kowloon was that there were well dressed desi men standing at every street corner. And they would hand out flyers for desi tailors, something Hong Kong is well known for. It was impossible to walk a block without encountering one more of these men and it was impressive how they were all rather well dressed, but I suppose that is a requirement if you are representing a tailor of high-end clothes. A few blocks from the Star Ferry, and I was on Nathan Road heading to a multistory building, Chunking Mansion, home to many small Indian businesses, guest houses and eateries. 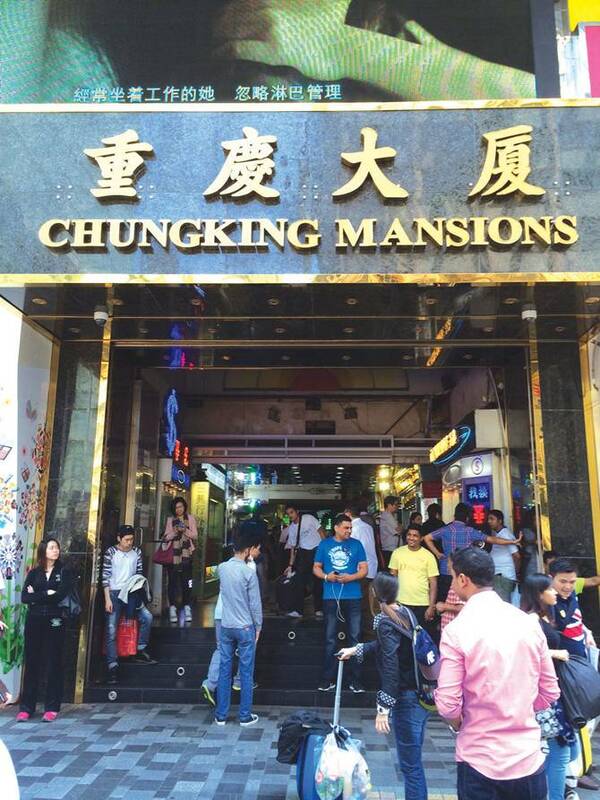 More important, one of my favorite directors, Hong Kong native Wong Kar-Wai, shot parts of his iconic film Chungking Express in that building, featuring a lot of South Asians as extras. Chunking Mansion was quite a cultural experience even for a person like me who often visits South Asian retail strips in Jackson Heights, Queens, New York, and even the miles of Indian stores on Oak Tree Road in Edison, New Jersey. The stores inside Chunking Mansion were very small, and they reflected a true fusion of South Asian businesses. I saw an eatery called Karachi Delhi Fast Food, and another one called Sialkot Take Away Halal Food. Right next to it was Samrat Pure Veg: Indian, Punjabi, Jain Food. There was a clothing store called Nepal Fancy Emporium, and another one was called New Punjab Store. Outside, I met another desi man working for a local tailor. He told me he was from outside of Islamabad and I had the chance to briefly speak to him in Punjabi. Image: Sonakshi Sinha in Lootera. Back in the United States, I flew over the weekend to Burlington, Vermont, and then drove to Montpellier, the state capital. The quaint little city is home to the annual Green Mountain Film Festival. I had been asked to programme two Indian films for the festival -- one recent Bollywood film, and a classic. I selected Vikramditya Motwane's heartbreaking romantic drama Lootera, and the 1963 Satyajit Ray classic Mahanagar (or The Big City, as it is presented in the US). 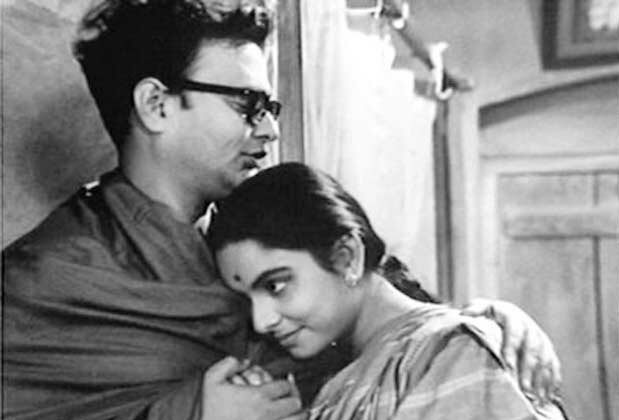 Mahanagar came to the festival in a pristine, restored Blu-ray from the Criterion Collection. It was a perfect weekend -- a lot of snow, warm, friendly people and the experience of watching Indian films in small-town America. It was especially thrilling to see Mahanagar in a cozy theatre at 11 am on a Sunday. The audience was very engaged, and asked questions about Anglo Indians -- a supporting character in the film is Anglo Indian -- and what made Ray such an enlightened feminist director. Others inquired how they could see more Indian films, and I directed them to Netflix. It felt good because in a small way -- I had introduced many in the audience to Indian films. Image: A scene from Satyajit Ray's Mahanagar. Filmi Family Tree: Which talented veteran is Shahid Kapoor related to?